Clouds and rain showers will be streaming in from the south throughout the day today. 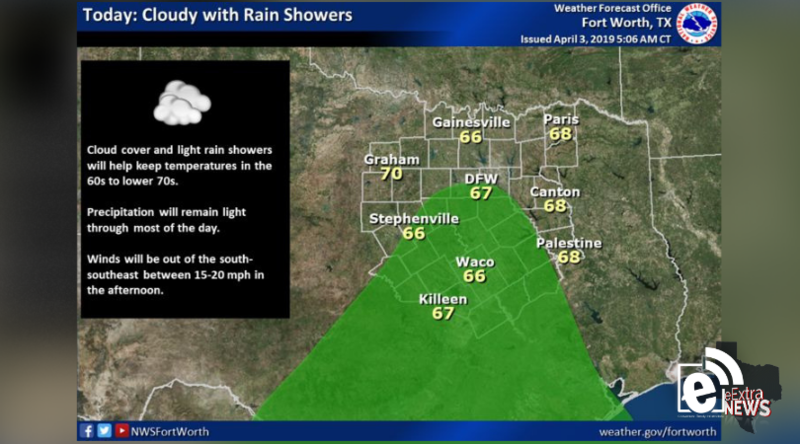 Rain chances will be greatest across Central Texas, with little chance of rain in the Greenville area. High temperatures today will be in the 60s to lower 70s, with south-southeasterly winds between 15-20 mph in the afternoon.